Hartsville, S.C. – May 23, 2018 – Coker College Enactus was named third in the nation at the Enactus United States National Exposition held May 20-22 in Kansas City, Missouri. There are 440 Enactus teams that compete in regional competitions across the country; the top 100 go on to compete at the National Exposition and the final four teams present in front of more than 1,000 people. Enactus is an international organization that connects student, academic and business leaders through entrepreneurial-based projects that empower people to transform opportunities into real, sustainable progress for themselves and their communities. Guided by academic advisors and business experts, the student leaders of Enactus create and implement community empowerment projects around the globe. Coker is one of 440 active Enactus teams in the United States and currently has 42 participating students. The national competition gives teams the chance to represent the collective impact of their community outreach and life-changing outcomes. Projects are evaluated on how successful they are at using entrepreneurial concepts to improve the quality of life and standard of living for those in need. Aquaponics in Myanmar, a sustainable ecosystem where fish and plants are grown together in one environment, has meant improved food security and helped raise much-needed funds for a local non-profit center. Clean Water in Myanmar has provided five gallons of clean water every day to 70 families, improving 350 lives. Women’s Empowerment in Myanmar consists of installing a local business for producing low-cost sanitary napkins, which will reduce the risk of illness, create a new business, empower women with consistent income, and help remove the shame women of the country have surrounding their monthly menstrual cycles. Rent-a-Fridge allows Coker students to rent a mini-fridge during the academic year, providing a more affordable and convenient option for students as well as recurring revenues to support ongoing Enactus projects. Kids Can partners with Carolina’s Kids, a local nonprofit, to enhance funding needs and nutritional values of the organization’s weekend food bag initiative for local children, as well as created and launched a food pantry at Hartsville High School. 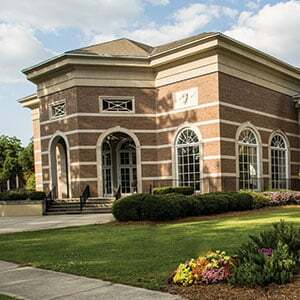 Summer Business Academy, sponsored by Wells Fargo, jump-starts high schoolers’ college education by earning three credit hours at Coker College, completely free of charge for all participants. Ubuntu-Blox is a wooden press that turns recyclables into sturdy bricks that can then be used for construction purposes, including building houses. The six presenters for the national competition were Hannah Baird from Fort Mill, South Carolina, Lexi Baughman from Frederick, Maryland, Gabriel Castro from Belo Horizonte, Brazil, Henrik Hellbe from Stockholm, Sweden, Kyle Ocker from Chicago, Illinois, and Joao Victor Santos from Brasilia, Brazil. Additional Coker Enactus team members for the 2017-2018 academic year include Olivia Avery, Evan Bachman, Gary Baker, Nicholas Beiers, Ethan Cairns, Bryson Conner, Taylor du Bray, Luke Elliott, Deanna Faile, Destany Gause, Reilly Hall, Kiisha Hilliard, Jake Johnson, Katie Jordan, Mary Kooper, Matthew Kron, Kendra Lambert, Edward Leitgeb, Chauntress Like, Emma Lindenmuth, Giancarlo Martinez, Suzanna Mickey, Brandon Mullins, Jay Novoa-Miralles, John Thomas Peagler, Bethany Prochnow, Eion Riley, Jenny Ruetten, Anthony Salas, Makayla Shore, Sydney Shull, Bret Shurina, Seth Spell, Tiffany Taylor, Zane Vanhook, Frank Velez. Team advisors include Gabe Mens, Andrew Taske, Phyllis Fields, and Andy Burkemper. For more information, please contact Andrew Taske, Director of Coker College Enactus, at ataske@coker.edu or 843-857-4125.